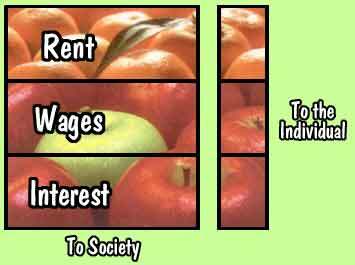 3.1 Land value capture is a key policy for building a “third way” economic system which affirms the positives from both the right and left sides of the political spectrum. 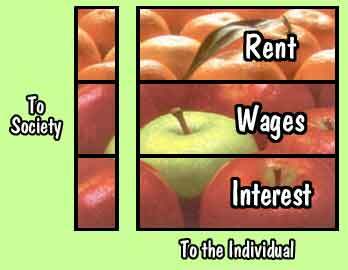 3.2 From the right, land value capture retains and furthers the FREEDOM to produce and exchange wealth by untaxing productive efforts and maintaining land affordability. The private sector thrives when transportation and other public benefits are available. Land value capture is a correction to a flawed market system which concentrates wealth in the hands of a few. 3.3 From the left, land value capture is based on the fundamental and equal economic human right to the basic means of all production – surface land and natural resources. The left’s concern for FAIRNESS in the distribution of wealth is affirmed and furthered via land value capture when it is correctly and fully implemented. In tandem with the reduction of most other forms of taxes the stronger the implementation, the faster the wealth gap closes. 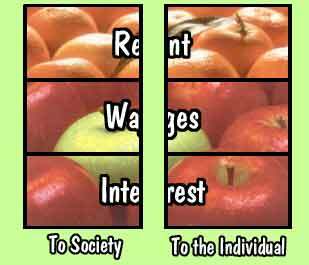 3.4 In short, this third way policy furthers both economic freedom and fairness, efficiency and equity in wealth production and distribution. 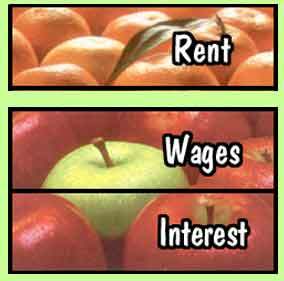 People benefit when their wages are not taxed and land and thus housing prices are stable and affordable. Everyone’s life improves when there are well-funded public benefits and services such as sanitation, transportation, education and health care. 3.5 Australia provide evidence of some of these affects. This country's states have had significant experience in land value capture, reported in numerous studies over at least 60 years, proving the comparative advantages of the system. Malvern (city): A marked construction spurt was experienced after the municipality adopted land value capture, the most extensive building occurring in Malvern's most blighted neighborhoods. Before the tax shift, they accounted for only 22% of building permits, but in the 5 years following initiation of land value capture, that percentage climbed to 47%. Victoria (state): 12 studies of rural communities show that towns using land value capture averaged construction and renovation growth of 29%, compared to 2.6% in neighboring communities which taxed buildings much more heavily than land values. Western Australia (state): 17 localities taxing land values only, experienced a 34% increase in total number of new dwellings built during the period studied, compared with 0.02% decrease in new dwellings in nine neighboring localities taxing buildings as well as land. 3.6 Harrisburg, the capitol city of Pennsylvania, was once the second most economically distressed city in the US and had high unemployment and large areas of blight and boarded up buildings. Harrisburg gradually implemented land value capture and now taxes land values six times more than building values. During a 20 year period thousands of buildings were renovated, good jobs created, and there has been very significant drops in rates of crime and arson. The city’s economic resurgence has garnered national acclaim and Harrisburg has won a number of civic awards. 3.7 Mayor Stephen Reed has written that land value capture “has been and continues to be one of the key local policies that has been factored into this economic success." 3.8 In the case of Allentown, Pennsylvania’s third largest city, the citizens pushed for land value capture by means of a home-rule charter initiative. They voted for a municipal charter that froze or eliminated all other taxes and permitted tax increases on land values only for 12 years. This city now experiences a more locally generated economic revitalization, the logical and expected result of this kind of tax shift. Allentown's new construction and renovation grew by 82% in dollar value, in the 3 years after the system began. This was 54% more than that of Bethlehem, a nearby city of similar size, despite the latter's receipt of much federal grant money. 3.9 In none of the above cases was there full land value capture and national income taxes were still a burden on workers. But since these well-studied examples (just a few of many positive experiences of land value capture around the world) show substantial improvements it can be anticipated that capturing 100% of land values, while shifting taxes away from labor and productive activities, can result in prosperity for all.